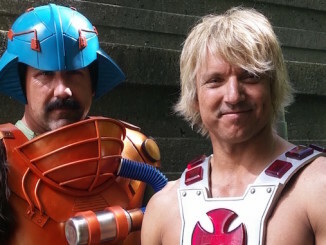 The much anticipated “He-Man / ThunderCats” crossover goes out with a bang! 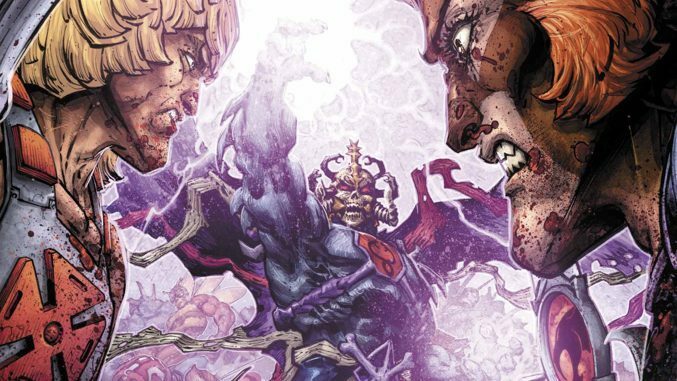 Between the legions of characters, the epic battle scenes, and an eye-popping jaunt through the multiverse, the creative team has turned in a terrific conclusion and one damn fun comic book. 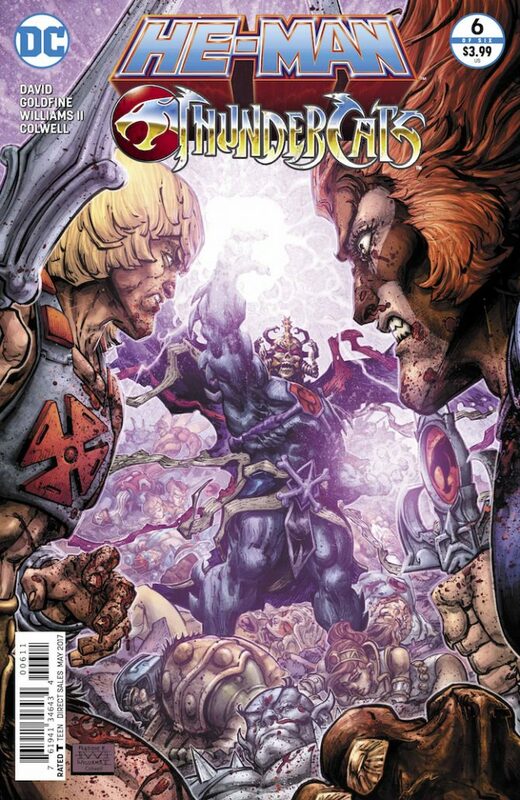 Lion-O returns from Third Earth with the newly-resurrected He-Man, but they find Eternia in ruins after the massive battle that took place in issue #5. 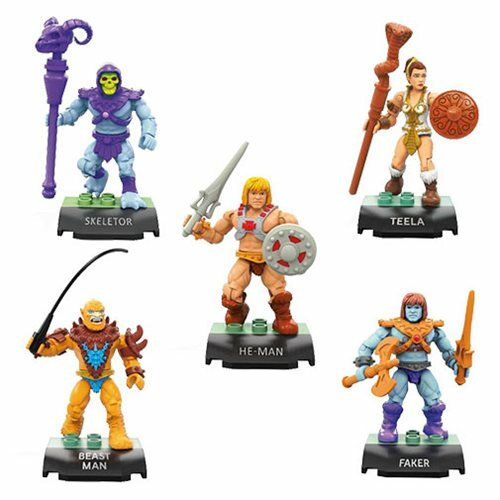 Skeletor and Mumm-Ra have unified into a being called Mumm-Ator, the Ever-Living Lord of Destruction, and they have gained access to the heart of Castle Grayskull. Seconds away from unlocking its fabulous secrets, the two heroes battle the super-powered villain(s) for control of all of reality itself. This leads them across space and time, and through all sorts of wacky parallel worlds. No summary can do justice to just how enjoyable this book was. David and Goldfine’s script is as clever and quick-paced as ever. Given the widest possible canvas for their imaginations during the multiverse battle, they deliver some laugh-out-loud moments. The art by Williams and Colwell is similarly outstanding, from their trippy rendition of Grayskull’s interiors to the massive double page spreads showcasing dozens of heroes and villains from both franchises. If there’s any complaints to have about “He-Man / Thundercats” #6, it’s that the story was constrained by the page count. Most pages were jam-packed with panels and word balloons as the plot moved at a breakneck speed. It would’ve been nice to let the comic breathe a bit, so we could see more of the climactic battle, and also for a few extra panels to explore each new dimension or time period. 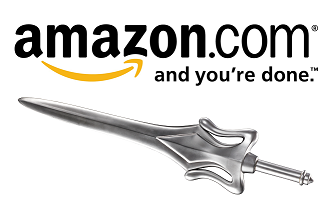 More than any other comic in recent memory, this one deserved to be double-sized. The most intriguing thing about the conclusion of this crossover is where the characters are left. Everything begins to go back to normal, but Lion-O still has a scar over one eye. King Randor still knows Adam’s secret identity. No one’s memories were erased. 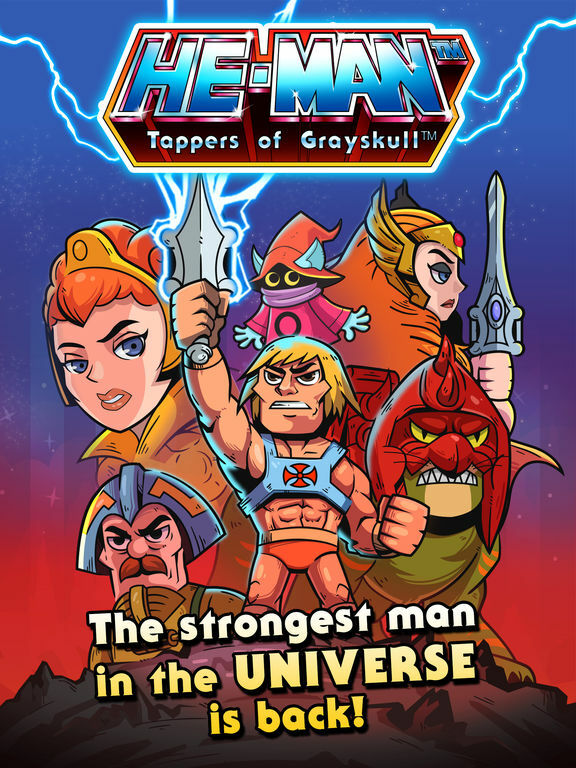 With the good sales and positive praise that “He-Man / Thundercats” has gotten, and with it establishing its own tone and slightly different continuity, it might be the perfect springboard for a brand new Masters of the Universe comic book. Their fellow heroes from Thundera are just as well situated. Here’s hoping DC Comics can capitalize on the buzz for these two great properties. 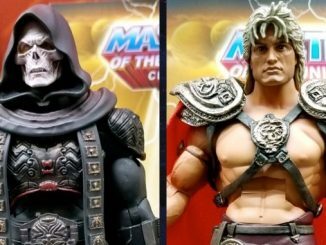 Sony Pictures Announces Release Date for Masters of the Universe!